Use customizable command sets to target specific Cisco commands at any Cisco device with SSH or Telnet access. Secret Server supports using an initial Secret to authenticate, and then elevates privilege to change the root password. This makes it possible to change UNIX / Linux root passwords, or the Cisco Enable, where the root credential cannot be used to connect to the device. 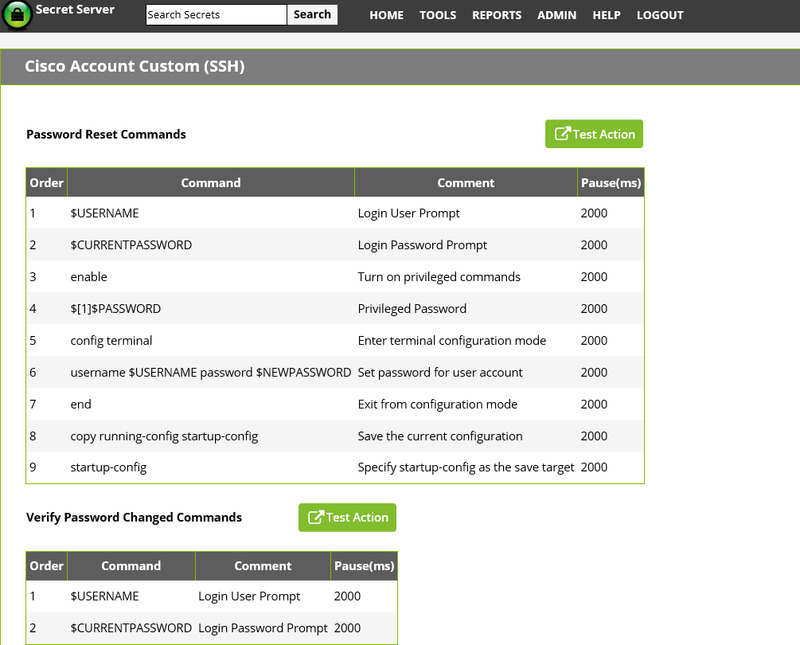 Secret Server can change or test passwords (using Heartbeat) for UNIX, Linux or Cisco devices. Try Secret Server FREE for 30 days using the form on the right, or check out Secret Server’s other user-friendly features.